Are you legally homeless or threatened with homelessness? Have you made yourself intentionally homeless? The rules around homelessness can be quite complex and the aim of this page is to provide some general information about the criteria you’ll need to meet to be deemed homeless or at risk becoming homeless and what help you’ll be able to get from your local council. It is part of our information on housing. It’s important to know that not everybody who is homeless or at risk of becoming homeless is entitled to accommodation. However, everybody is entitled to advice from the housing service. If you’re at risk of becoming homeless, you’ll need to get some help and advice at the earliest possible opportunity as it can take some time to organise emergency accommodation. You can apply to the council to request somewhere to live if you’re homeless or you’ll be homeless within 8 weeks. How much help you’ll get will depend on your individual circumstances. You don’t have to be sleeping on the streets to be considered homeless. You can apply for help even if you have somewhere to live but it’s not suitable. For example, if you’re staying on a friend’s sofa or your home is overcrowded. You can apply for help if you’ve been given a valid section 21 eviction notice which ends within 8 weeks. It’s worth applying for help even if you’re not sure you’ll get it – councils have to make decisions on a case by case basis. If you’re not a British Citizen, applying for homeless help could affect your right to stay in the UK. You may want to seek legal advice before applying to your local council. If you’re aged 16-17 or you’ve currently been living in care, social services will usually have to help you with housing. If you can’t stay in your home because of violence, threats or any other abuse, you can apply for homeless help. You’re a British or Irish citizen living in the UK. You’re an EEA national living and working in the UK. You’ve been given exceptional leave to remain in the UK, or indefinite leave to enter or remain, or are a refugee who was granted asylum and came here before April 2000. If you’re not from the UK or you’re a British Citizen and recently returned to the UK, the rules are complex. It’s best to get some further advice from your local Citizen’s Advice Bureau. You have nowhere to live in the UK or abroad. You have a home but you can’t access it – for example, if your landlord has unlawfully evicted you by changing the locks. It wouldn’t be reasonable for you to stay in your home – for example, because of violence, poor conditions or you can’t afford it. You have nowhere you can keep your home because it is moveable – for example, it’s a caravan or house boat. You have to leave your home within 8 weeks. You’re given a valid section 21 notice to leave your home and the notice ends within 8 weeks. If you qualify for help the council will first check if they can help you find a new home if you’re already homeless. If you’re threatened with homelessness, they’ll see if they can help you stay in your home. You’ll usually be given help for 8 weeks. if you’re threatened with homelessness and have become legally homeless you’ll get help for another 8 weeks. You’ll be given help to find a new home. The council has to work with you to put together a written housing plan, saying exactly how they’ll help you stay in your home or find a new one. For example, if you’re threatened with homelessness, they might be able to negotiate with your landlord so you can stay in your home. If you’re already homeless, they might be able to give you a deposit to get private rented housing. If the council can’t help you to stay in your home or find you a new one, they’ll check if they can give any other help. This might be finding you emergency housing which could be bed and breakfast accommodation or hostel accommodation. If you’re leaving any of the above, you should be referred to a local council for a housing assessment. The main carer for a child – this will usually include a child aged 16 to 18 if they’re in full-time education or training. Pregnant or living with someone who is. Homeless because of an emergency – for example, a fire or flood. 16 or 17 and you’re not living with your family and social services can’t help you. 18 to 20 and you are living in care. You will also be in priority need if it would be more difficult for you to cope with being homeless because of your needs. This is known as being ‘vulnerable’. You might be vulnerable for example because of a disability or old age. Give up a home you could have stayed in for no good reason. Refused to make rent or mortgage payments. Made arrangements with someone to become homeless – for example, getting family to evict you when you didn’t have to move out. Were evicted because of noise, damage to your house, drug dealing or violence. Do have a local connection? You’ve been resident in the area for at least 6 of the last 12 months or 3 years of the last 5 years. You have close family in the area. You have a job or you’re in the armed forces in the area. Being in prison or on bail in the area does not qualify as having a local connection. It is unlikely that a stay in supported housing in the area would qualify you either. If you have no local connection with the area, and you are in priority need and not intentionally homeless, the council which you have applied to as homeless can send you back to an area where you do have a connection, but not if you would be at risk of violence wherever you lived in that area. If you have no local connection with any area then you can apply to any local authority. The council says they don’t have to help you with housing. If the council says they can’t give you help to keep your home or find a new one. If you’re not happy with your housing plan. The council says you don’t have a local connection. You think the housing you’ve been offered is unsuitable. You’ll normally have to request a review within 21 days of getting your decision. The council may provide you with housing whilst they review their decision but you’ll need to ask for this when you request your review. Shelter – Run a national helpline and provide online advice for people facing a housing crisis. Centrepoint – The UK’s leading charity for homeless young people. Practical self-help information – We have information on housing. Discuss the issue – Read and share your experiences on our online forum. Comment on this information below. 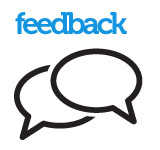 Send your feedback directly to us. Discuss your views and experiences with others on our online peer forum.